“1 day of easy for each mile of race effort” seemed the general guideline that I have heard/read when it comes to recovery after an endurance event. While I’ve followed this guideline in all my events (half and full) and incorporated it with a post-marathon recovery training from Hal Higdon , I’m wondering if my personal recovery rate is different from most people. 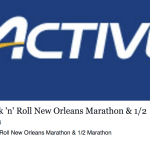 Last year after Chicago, since it was my first marathon, I religiously followed the easy rule for a month and started training in earnest (hitting my goals for intervals and tempos) for New Orleans only in mid-december. 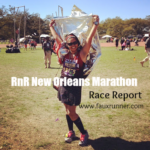 I gave it my all in New Orleans and was rewarded with a near-perfect race and PR. 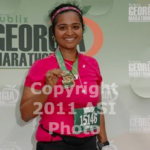 Georgia Publix Half was 2 weeks after NOLA, and I opted not to run it. I just did not want to run it and it didn’t excite me in the least. Chicago this year has been completely different, but I still gave it all and I could NOT have done a race afterwards even if I had wanted to. And I did not want to. 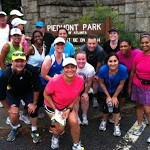 first time marathoners jumping back into training for their next endurance event. 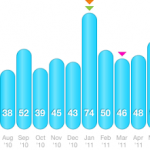 Not veteran runners, but ‘newer’ runners with 1-2 years of running behind them. 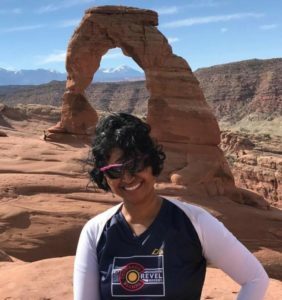 Veteran runners of multiple marathons or multiple ironman (yes, you read that right!) are not in the same plane of reference! I know that everyone’s level of fitness and recovery is different. But I wonder at HOW they are able to move on effortlessly so soon! And I am surprised that I am not able to pick back up that easily. I know that I am not the fittest of people around me, but I have a decent amount of fitness training for marathons. I take care to do my recovery nutrition. I do post-race massages but even a hard raced 5K/10K shows its effects on my legs. Yes, I bounce back to perkiness factor 9/10 in 2-3 weeks, but it hasn’t been to a point where I go off and run a half marathon immediately! Is there a magic potion I am missing that is not letting me bounce from one event to another? My husband may be happy that I’m not talking about the next thing for atleast a month or so after the last big one, but I look around and I feel very inadequate. Strange that recovery causes this feeling in me while training and racing does not; I recognize that every person has their own merits. How do you recover from endurance events? 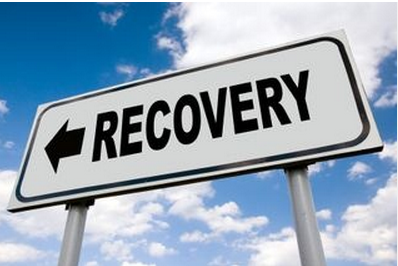 Do you just wing it or do you follow a recovery plan? What is your estimated range for recovery? Are you the sort of person that jumps from one event to another or do you take time off/off season and then approach the next event strongly? Interesting topic… like you, I need a long recovery, but I think one of the key differences is how hard someone races. 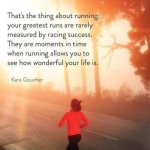 A lot of beginner runners run their marathon at a relatively easy pace. If you’re racing at an all-out effort, your body will need much more recovery time.